KUALA LUMPUR: Pandelela Rinong (pic) served a surprise by qualifying for the women’s 10m platform individual final in the Diving World Series finale in Kazan, Russia. Pandelela gave a season-best display to finish second in the first semi-final group yesterday, thus earning a place in the top-six final. Pandelela posted 72.00, 62.35, 67.20, 78.40 and 76.80 to finish with 356.75 points. North Korea’s Kim Mi-rae scored 359.65 points to top the first semi-final contest. Russian Iuliia Timoshinina grabbed the last ticket from the first semi-final group with 351.10 points. 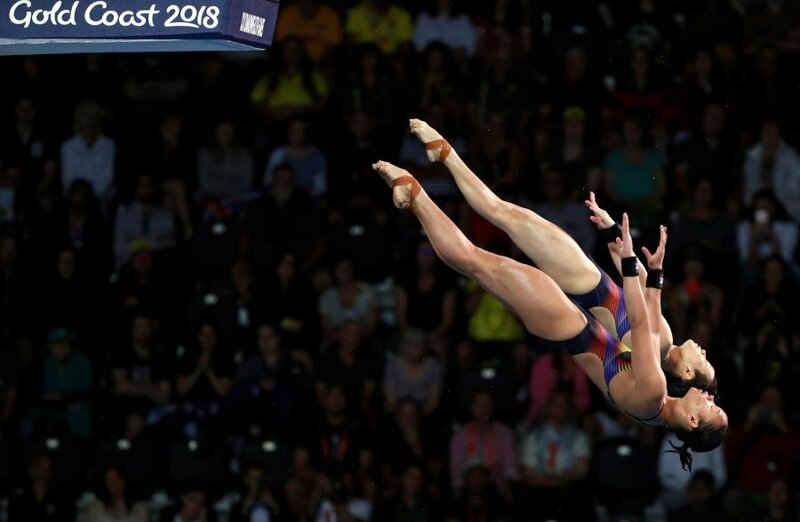 The top three divers from each semi-final grouping make the cut for the final and there was a shock as China’s Si Yajie, the world champion in 2013, missed the cut. Si Yajie finished fourth after fumbling in her fourth dive, earning 52.80 for a total of 340.80 points. Si Yajie combined with Lin Shan to win gold in the 10m platform synchro event on Friday. Pandelela is the only Malaysian representative after reigning world champion Cheong Jun Hoong managed fifth with 296.10 points. Pandelela partnered Jun Hoong to take bronze in the 10m platform synchro event on Friday, capping a perfect end to their campaign in the prestigious series. Pandelela will have to be at her best to end her medal drought in the individual final. Besides Mi-rae, the Sarawak-born diver will have to fight it out with reigning Olympic champion Ren Qian of China, Gold Coast Commonwealth Games champion Melissa Wu of Australia and another North Korean Kim Kuk-hyang, the world champion in 2015. Ren Qian qualified first from the second semi-final group (361.35) ahead of Melissa (358.60) and Kuk-hyang (350.90). “It is a high-quality final field with Olympic and world championship winners present. “If Pandelela can stay consistent, there is a chance to get a medal,” said coach Zhang Yukun. GOLD COAST: Despite the windy conditions, national divers Cheong Jun Hoong-Pandelela Rinong produced a dominant performance to easily win the women’s 10m platform synchro gold medal at the Optus Aquatic Centre today (Wednesday). Jun Hoong-Pandelela, silver medalists at the 2016 Rio Olympics and bronze medalists at last year’s World Championships, mesmerised the judges with their world class dives as they earned 53.40, 70.20, 76.80, 74.88 for a five-dive total of 328.08 points. They led from start to finish. For the record, it is Malaysia’s third Commonwealth Games title in diving after Pandelela (10m platform in 2010) and Ooi Tze Liang (men’s 3m springboard in 2014). Compatriots Leong Mun Yee-Nur Dhabitah Sabri added up to their bronze from the afternoon’s 3m springboard synchro event by finishing third thanks to a high scoring final dive of 74.88 for a 308.16 total. Canada’s Meaghan Benfeito-Caeli McKay took silver on 312.12. For Jun Hoong, it was a special day as the gold was also her first medal since making her Commonwealth Games debut in 2006. “I feel happy and blessed. Thanks to my partner, I have finally won a Commonwealth Games medal. It is also the country’s first synchro title at the games,” said the Ipoh-born Jun Hoong. Pandelela said they were uncertain over their performance as they did not do too well in training before the event. “However, we managed to perform well. We only knew we would win after completing our final dive. Mun Yee-Dhabitah felt the bronze they had won in the 3m synchro was tougher than the one they achieve in the 10m event. “We were fourth going into our final dive in the 10m event. We promised ourselves to give our best shot on our dive and get a medal. 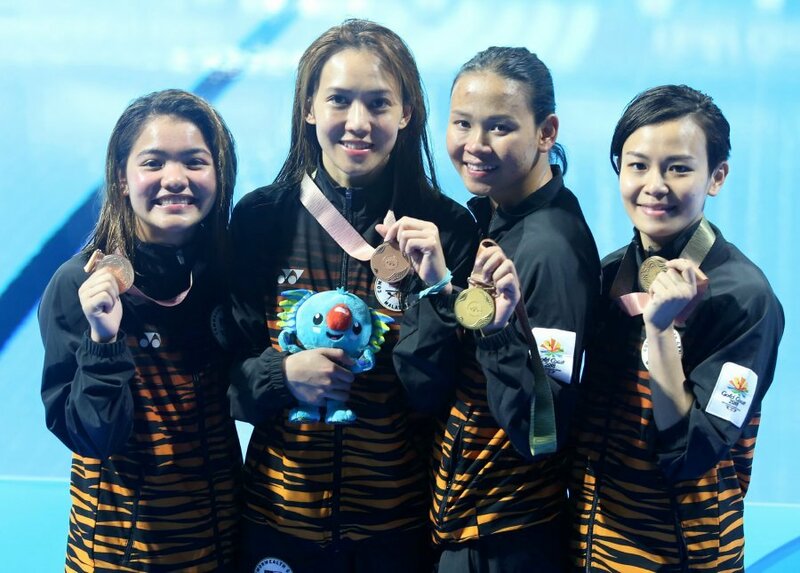 “The 3m synchro bronze, however, is worth more than the one from the 10m as it was more difficult for us,” said Nur Dhabitah, who only paired up with Mun Yee early this year. Mun Yee said competing in two synchro events on the same day was taxing to her body. “It was challenging as were here at 7.30am to train before the competition. We only returned to the Games’ Village for an hour for lunch before returning to the venue for the 10m event,” said Mun Yee. In the 3m synchro event, Mun Yee and Dhabitah were 61.40 points away from the gold medal but the latter miscued her entry in the pair’s final dive to finish with a 264.90 total. They recorded 46.80, 48.00, 69.30 and 58.50 in the opening four dives. Australia’s Esther Qin-Georgia Sheehan won the gold medal with a 284.10 total, followed by England’s Alicia Blagg-Katherine Torrance (276.90).